Few could question Richard Branson’s credentials as one of the world’s top entrepreneurs, and I recently wrote an article on Virgin’s consistently strong use of Ansoff’s “unrelated diversification” strategy. Richard Branson’s first business venture was a student magazine. In the two years trying to get Student launched (in 1968), the period was filled with knockbacks in trying to sell advertising space to major companies for a magazine that did not yet exist and getting content contribution. With Student, it wasn’t about making money for Branson, he was just determined to make enough money to produce the next issue. Quote: “I can honestly say that I have never gone into any business purely to make money. If that is your sole motive then I believe you are better off not doing it”. Right from day one when he thought up the concept of Student, as a fifteen-year-old schoolboy standing in a public telephone box, Branson was contacting 250 MPs to contribute articles, juggernauts likes Coca-Cola to advertise and even WH Smith to agree a distribution deal, claiming Student would become Britain’s biggest magazine for young people. Quote: “My interest in life comes from setting myself huge, apparently unachievable, challenges and trying to rise above them”. Richard Branson’s story is full of cunning solutions in the face of adversity. Perhaps the greatest was Virgin’s mission of opening its first record store without a penny for rent… on Oxford Street! Having noticed an empty floor above a shoe shop, he managed to convince the owner to let Virgin Records occupy it rent-free until a paying tenant came along, on the basis that it would generate custom for the shoe shop when customers passed through to Virgin’s store. Without this creativity, the Virgin Records chain of store couldn’t have taken off. Throughout his career, it is clear that Richard Branson has been intent on surrounded himself with the best people, who each bring their own strengths to the party. This goes back to his early days with Student and his childhood friend, Jonny Gems, who knew what content needed delivering in the magazine whilst Richard was the one who made it happen. Branson is also clear in his opinion that it was his cousin, Simon Draper, and his taste in music that made Virgin the ‘hippest’ place to be. Quote: “Throughout my life, I’ve always needed somebody as a counterbalance, to compensate for my weaknesses, and work off my strengths”. There are many points in Branson’s story when Virgin appeared to make a breakthrough and the risk of failure was set to subside, but this was almost inevitably followed by a decision from Branson to up the stakes further. A prime example of this was Mike Oldfield’s Tubular Bells becoming the UK’s most celebrated album of 1973 (whilst on Virgin Music’s books) creating an opportunity for easy money by licensing its records overseas through an established international record label, therefore receiving an upfront payment as well as royalties. Instead however, Branson took the riskier option of paying another record company to simply manufacture and distribute the records overseas, meaning Virgin would do all promotion activity themselves. The advantage is that this offered Virgin a higher commission on each sale (as opposed to a 10% royalty), but only if those sales were generated by Virgin. What’s key to point out was that this decision wasn’t taken blindly, with financial calculations undertaken to uncover the required volume of sales to justify the decision and Branson had confidence in the portfolio to achieve this figure. Quote: “If you are a risk-taker, then the art is to protect the downside”. Every successful business has had luck play its part at some point in its history, as Virgin experienced for itself when selling its Sega license for £33m only a year before its value dropped to practically nothing. However, bad luck can put a firm out of business as Virgin Mail Order Records nearly found out after the Post Office workers strike of January 1971. As a postal distributor, a crisis like this can only be negotiated with proactive management, which prompted the opening of Virgin’s first store as described above. Even though Richard makes no hiding of his hatred of criticising colleagues and still avoids the issue wherever possible, he is clear on his vision and when intervention needs to be made. Back at Student once again, when he found out that his best friend, Nik Powell, was trying to oust him as publisher and editor to turn the company into a cooperative, Branson managed to get hold of the situation before his employees got wind and the risk of them turning on him, resulting in Nik leaving Student. The growth of Virgin as such a diversified business with Richard Branson at the centre of it all and in the public domain has put him in the fortuitous position of regularly being approached with new business ventures, such as an American lawyer approaching him in 1984 to set up an airline. Whilst Virgin Atlantic is one of the group’s most profitable today, this wouldn’t have been possible without a leap of faith by Branson beyond music and media industries into something completely unrelated. Quote: “Some of the best ideas come out of the blue, and you have to keep an open mind to see their virtue”. A key feature of the success of Virgin and Richard Branson is the emphasis on reinvesting profits to fuel growth. As Virgin’s finances strengthened, Branson stated his desire to use the cash to widen operations so that all eggs wouldn’t be in one basket if hit by another recession. To prove the sense in this, when Virgin Atlantic entered a long-lasting court battle with British Airways in 1992, the uncertainty meant no bank would provide any further funding for the airline. Whilst this would have forced many out of business, with Virgin Music turning profits of £75m that year, a float remained available to retain a positive cash flow and see Virgin Atlantic through until the end of the case (and a pay-out of £600k). Quote: “I am continually trying to broaden the Group so we are not dependent on a narrow source of income, but I suspect this is more down to inquisitiveness and relentlessness than sound financial sense”. 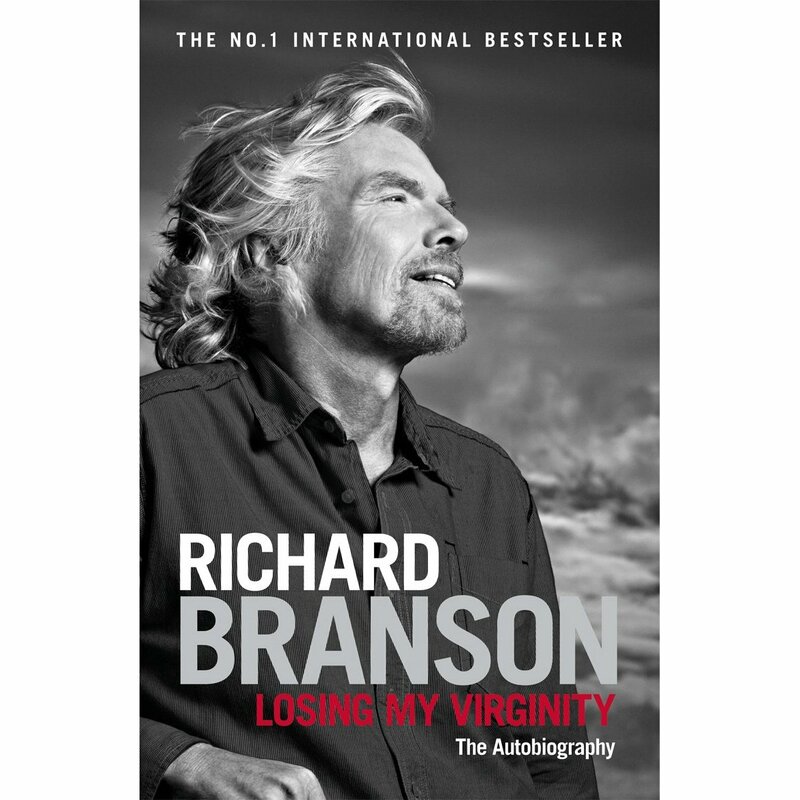 When Nik and Richard went their separate ways in 1980 (whereby Branson bought out Nik’s shares in Virgin), Branson noted one of the pairs major differences as being Nik’s seriousness compared with Richard’s fooling around in the name of making sure Virgin’s staff were having a good time. Even since this split, Branson’s idea of fun has left his colleagues wincing – most notably when using this as justification for taking on the colossus British Airways through the launch of Virgin Atlantic! In discussing the future and his own personal retirement, Richard says that moment is still “a very long way off… I am still having a great deal of fun”. This entry was posted in Business Lessons and tagged British Airways, Business Lessons, Losing My Virginity, Richard Branson, Student, Virgin, Virgin Atlantic, Virgin Mail Order Records, Virgin Music, Virgin Records. Bookmark the permalink.